As live streaming is becoming an increasingly popular marketing tool, we like to keep tabs on the brands who are using this tool well. 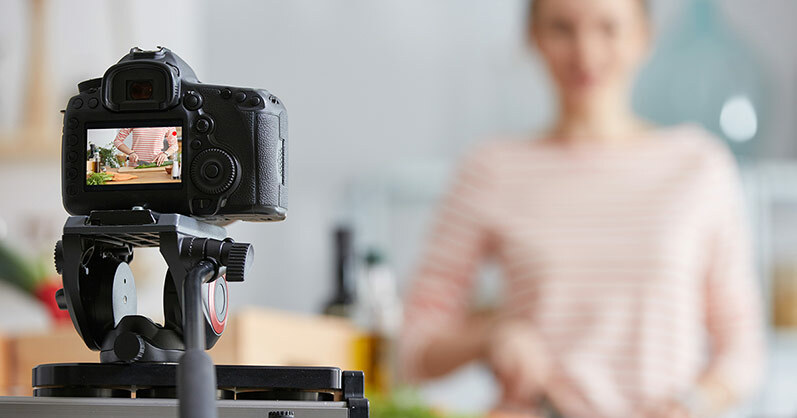 We’ve searched far and wide for the most successful live video campaigns from big companies. 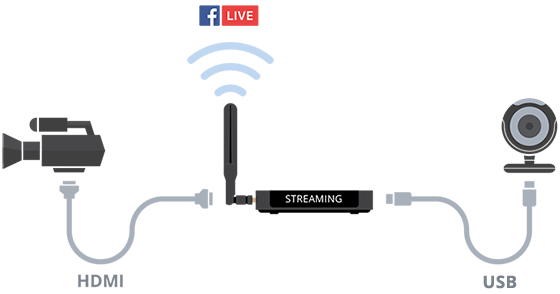 Today, we are breaking down the top 5 examples of brands using live streaming the right way. Buzzfeed are masters of capturing viewer attention with their intriguing content titles. Some time back, they asked the question: how many rubber bands would it take to crush a watermelon?.. And then they made a live video about it! By the end of the video, this silly food experiment unwittingly gathered over 800K live viewers! It’s all about the suspense and the unpredictable ending! It’s one of those situations where you just can’t look away – you almost need to know how it ends. Just like the brave experimenters, you wince a little bit with every new rubber band. Buzzfeed was able to capitalize on these human emotions of fear and curiosity. Buzzfeed was most likely using a smartphone on a tripod to stream to the Facebook Live app. The video is shot from a single angle with some zooming. This video is just begging for another angle to capture a close-up of the watermelon. Just imagine: picture in picture, one camera is getting the wide angle showing all the astonished faces of the crowd around the watermelon with the other camera zoomed in on the juicy watermelon bursting at the seams! We would recommend using two cameras for this setup. As far as streaming to Facebook Live goes, a simple encoder like Webcaster X2 would be great for this job. Webcaster X2 is able to capture video from a webcam and a high quality camera, while the UI lets you switch between the shots and even do some picture in picture. This video had it all: great choreography, amazing camera work, switching between shots… It’s a beautiful, challenging production and it’s breaking a world record! The video took three days of rehearsal on set and included 250 cast and crew members with 40 performers moving through some 11 different sets. On the day of the Grammys, they only had one chance to get it right (no pressure!). This entire campaign cost Target $12 million, but notice how subtle their advertising is in the video itself. The viewer doesn’t see any blatant brand messaging; the video is first and foremost a cool music video. Great job, Target. This is a very complex multi-camera setup with high-end equipment all across the board. We can only imagine how much equipment was involved behind the scenes. Clearly, a team of AV professionals worked on this video; the lighting is great and the artists look amazing. Each set and every shot was carefully designed with cameras and cables in mind, and all the video signals came together in a single mixer device. The clean studio audio track came from a separate input. The details of the streaming setup remain a mystery, but what we do know is that you don’t want to be using flaky equipment for such a huge, one-take production. To make sure that the video is properly encoded and streamed to the internet in high-quality, use a robust and reliable hardware encoder like Pearl-2. If we were to shoot a live music video tomorrow, we could connect up to 6 HD cameras, premium sound, and live stream it to the web in Full HD to multiple CDNs (or in 4K to a single CDN). 3) Get active with Kohl’s: tone it up! The video is very energetic and engaging for the viewer. The brand (Kohl’s) isn’t actively pushing a sale on the viewer – they are offering real value for free. In addition, the video is well made: lots of different angles, good light, and a beautiful set. 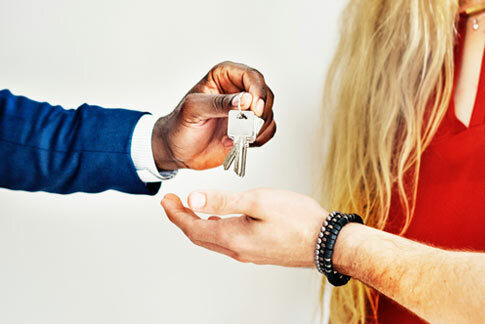 To date, the video has 38K views, which we consider a win because of the value it offers. We spotted three cameras in the video’s setup: one fixed on a tripod pointing and zooming in on the stage, the second – a wide shot crane camera from the side of the set, and the third camera roaming to capture closeups of the participants. Audio is coming from two sources: one is transferred from the wireless mics on the trainers, the other is the workout music track. All these video and audio signals are then connected to a mixing and encoding device and streamed to the internet. This is a perfect job for an all-in-one live production studio like Pearl Mini. Two cameras are connected using HDMI cables and one camera with an SDI cable. The operator would only need to switch between the views and monitor the live stream. With Pearl Mini, Kohl’s could’ve been streaming to YouTube, Periscope, and Facebook Live simultaneously! The DIY queen herself, Martha Stewart paired up with The Home Depot to create a live tutorial on how to make Christmas ornaments. This video is a very visual and approachable tutorial. Martha Stewart is notoriously great at explaining how to make things and where to get all the necessary ingredients. The viewers are able to see exactly how Martha creates the piece in real time (no camera tricks!) with the end result displayed. The video was not only popular during the live stream, but is continuing to gather views as VOD content. As of now, the video has over 590K views. This video involved one high-quality camera with the operator moving around and zooming in on the details. The sound came from the two lavalier mics on the hosts which were probably sent to an audio mixer first. The stream included some nice lower thirds with advertisements, which leads us to believe that Martha was using streaming software to stream this video. 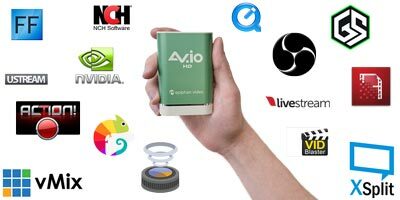 Computer streaming software is great for creating beautiful graphics for your live video, but to capture the video from a camera you need a capture card, like Epiphan’s AV.IO HD. Connect your camera to the card, then connect the card to the computer, and the video signal from the camera will appear in your streaming software list. Check out our streaming software blog post if you want to gain a better understanding of it is and how it works. Royal Caribbean organized what is called an influencer takeover: they allowed world-travelling live streamers like Dan Moore to completely take over the Royal Caribbean Periscope channel and stream their adventures live. Since these influencers already had a large following, they were able to attract all of their fans to the Royal Caribbean channel. Another cool part of this campaign: Royal Caribbean played edited versions of these live streams on digital billboards in New York, making it seem as thought you were watching the actual live stream and showing you what you were missing. Royal Caribbean did a great job exploiting FOMO (the Fear Of Missing Out), showing people the adventures they were missing. Moreover, they were able to do it in an engaging and approachable way: a raw, unedited interaction with true “adventure experts”. Viewers were able to interact with someone they admire, ask questions, and even offer some input on what the influencer should do next. Each individual influencer was able to gain new followers from all the other stream viewers, while Royal Caribbean was able to show millenials that cruises can be very fun and adventurous. So, this campaign was beneficial for all parties involved: the viewers, the influencers, and the brand. Win-win-win! Influencer takeovers are especially popular on Instagram Live and Periscope. This particular campaign streamed 22 “episodes” to Periscope using a smartphone. As you can see, the video quality is not amazing, but this raw and unedited feeling is what makes these videos so energetic and engaging. They feel “real”. But as technology gets better, we will see better and better quality streams. Meanwhile, you can get great quality streams with our devices right now (so why wait?). 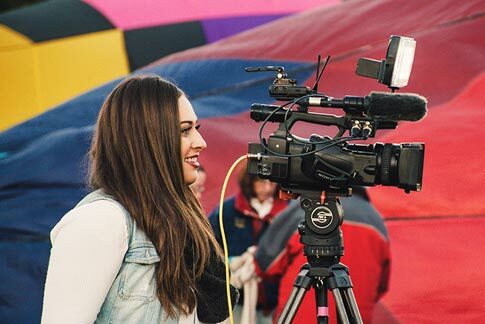 For more solid advice on how to live stream, check out this article with 21 live streaming tips we posted just a few months ago. We hope you enjoyed learning about the awesome ways brands use live streaming as much as we did. Did we miss anything? Do you have a favorite branded live stream that you want to share? Feel free to leave your comments and thoughts below! Interesting post, Marta. I’ve found streaming software a pain – what do epiphan think is the best buy? Chris, that’s a great question! It depends largely on your live streaming needs. If your setup involves one or two cameras and you are prepared to tinker with settings (and you don’t mind a community forum instead of pro tech support) – you can get away with using OBS (for free). 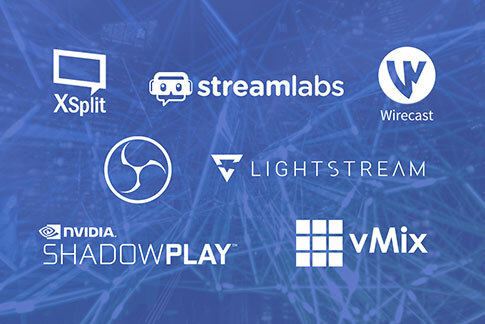 If you do like the idea of tech support for your software – XSplit is an affordable choice for Windows. 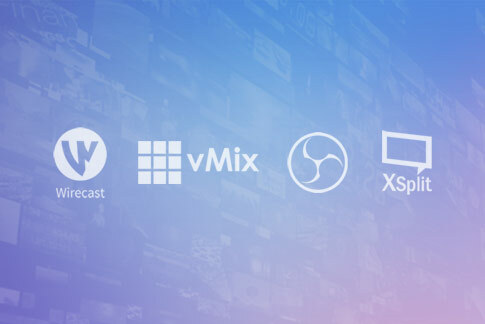 Wirecast is great for professional streaming, while vMix is the top-of-the-line streaming and recording software with very advanced features (virtual scoreboard, instant replay, PTZ camera control, etc). 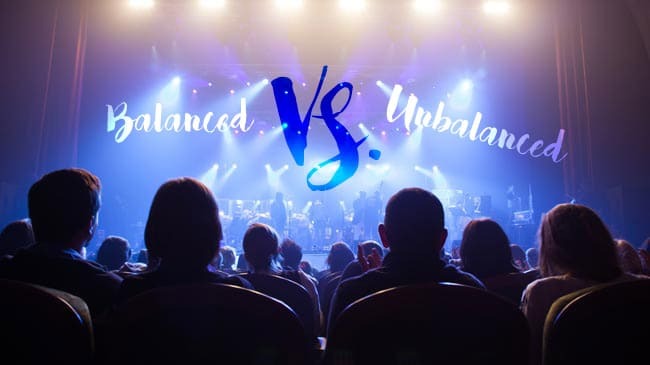 We’ve actually got a great infographic that compares streaming software and there’s also a detailed post about streaming software that I definitely recommend checking out. 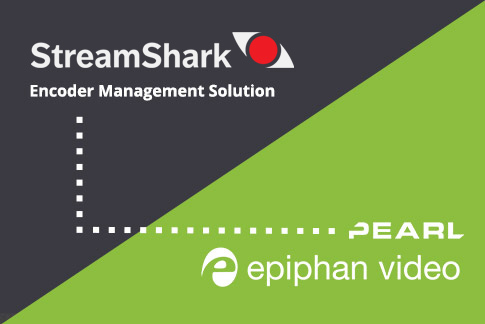 And you like videos better, watch Epiphan’s own Dan and George discuss the pros and cons of different streaming software options in this video.